Indeterminate. 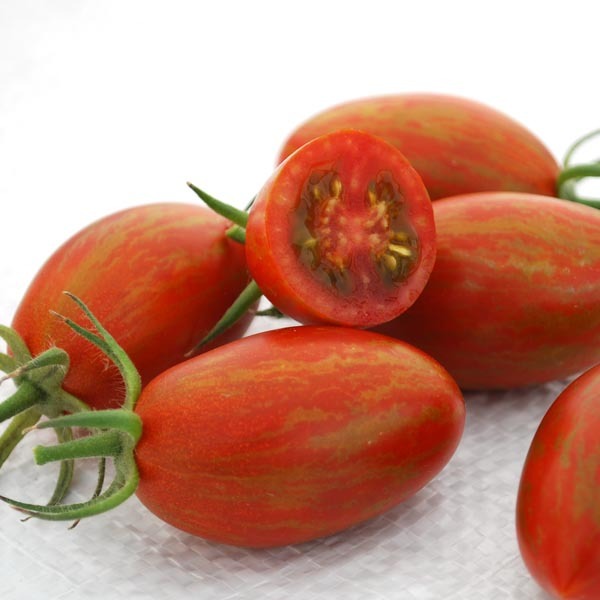 Gorgeous brick red fruits with bronze striping, exceptional flavor ratings and texture. 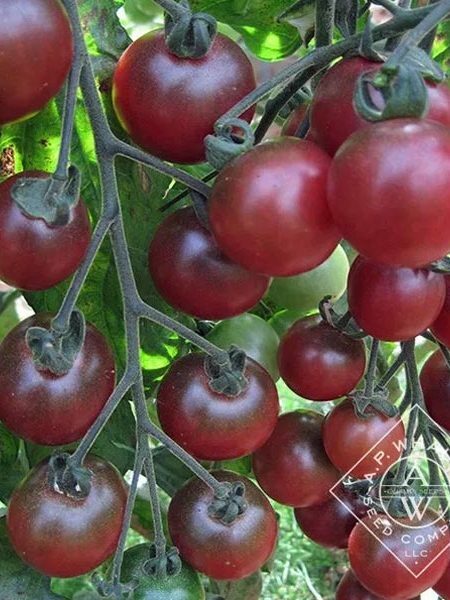 Fruits have a beautiful dark red interior. 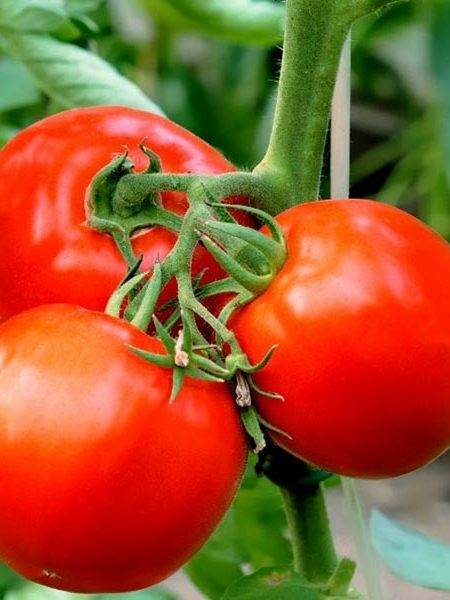 Extremely prolific, plants produce high yields of marketable fruits. Average Brix score of 8.0. Excellent tolerance to biotic and abiotic stresses. 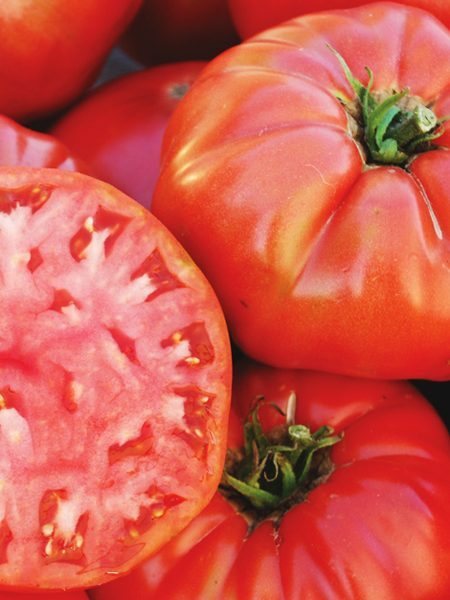 Oblong fruits weigh about 1 ounce and measure 1.25″ wide and 2.5″ long. Indeterminate vines produce ripe fruit 60-70 days from transplant. Photo courtesy of Aaron Whaley (original breeder). 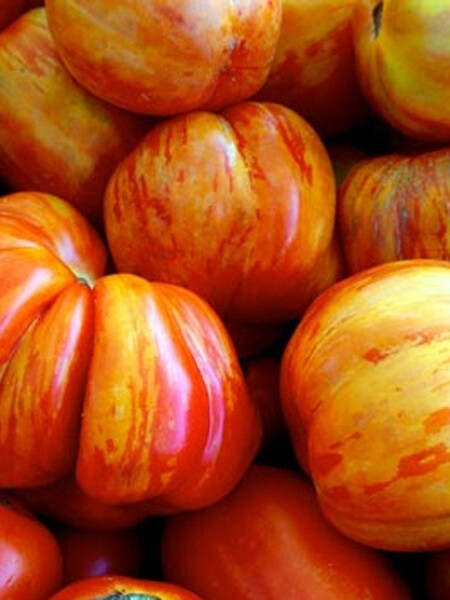 Be the first to review “Tomato ‘Bronze Torch’ F1 Grafted Mighty ’Mato” Click here to cancel reply.